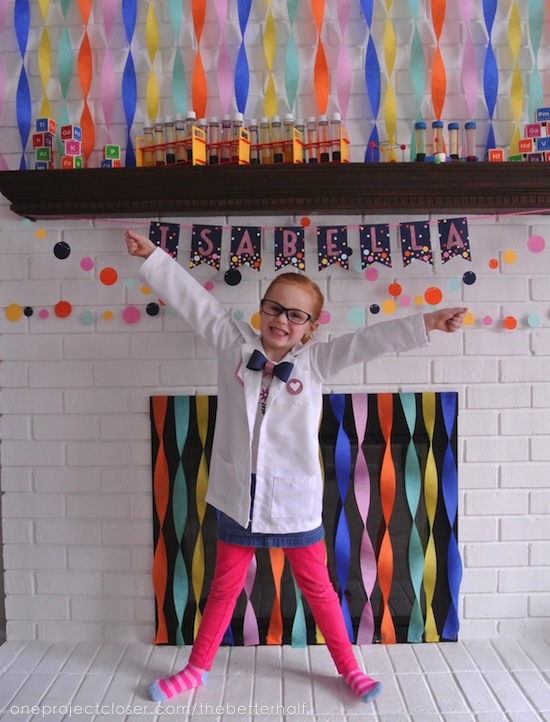 Isabella’s 6th Birthday: Lots of Fabulous Scientist Party Ideas! Steve Spangler Science provided some materials for the party at my request. As always, opinions are 100% mine! 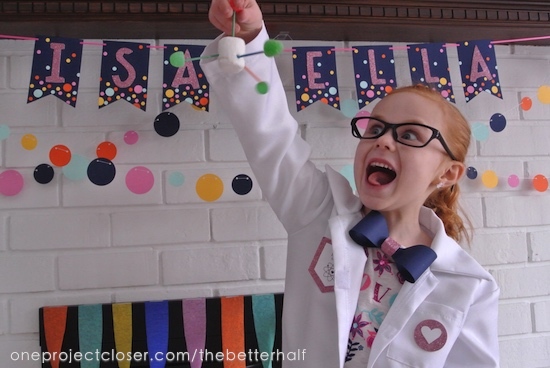 I was beyond excited (and surprised) when this year, Isabella asked for a Science Party, rather than the typical Princess party. After all, she does want to be a scientist when she grows up. Of course I said yes and went crazy in the planning. It all looks very involved but really, it was an easy party and definitely less expensive than hosting outside of the home. 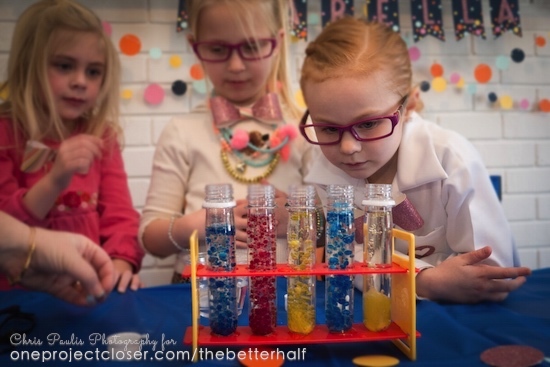 And before I get started on telling you about all our mad scientist party ideas, a BIG thank you to my dad, Chris Paulis Photography for saving the day and taking AMAZING pix so I could play Professor to our little scientists. Side note, every party should have a professional photographer – the pictures were way better than I could have taken and I actually got to be a part of the party. Also, thank you to Dad, Mom, and my friend Becky for playing lab assistants – it was so fun and smooth because of you! 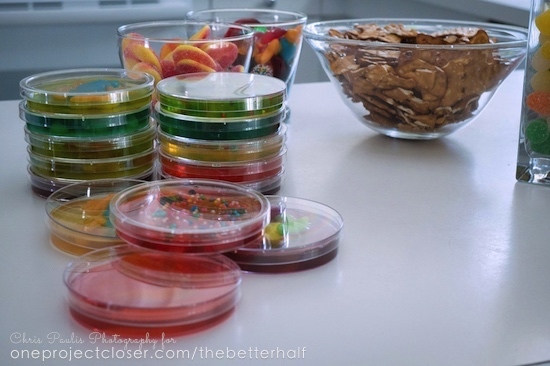 Obviously, you can’t have a Scientist Party without experiments, right? At first, I thought about putting together my own experiments and supplies, but it quickly adds up. Then I came across Steve Spangler Science and realized they were the perfect solution. 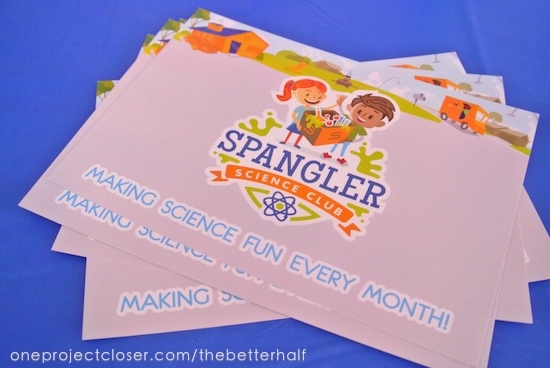 I reached out and they were kind enough to send us a few of their Spangler Science Club Kits – and wow, it was so much science, we didn’t even have time for it all. Side note: Its pretty inexpensive to join their monthly club and get science experiments delivered to your door every month. It also makes for a great gift. Check it out! The favorite of both the kids and the adults was the bubbling blob experiment! The kids loved creating their own colors and then watching the bubbling reaction happen. I was a little worried that the kits would be too advanced for our group of 6 year old girls, but they were all easily adapted for any age. I simplified the questions but otherwise, the kids were able to do the experiments on their own with very little help (but still lots of supervision). 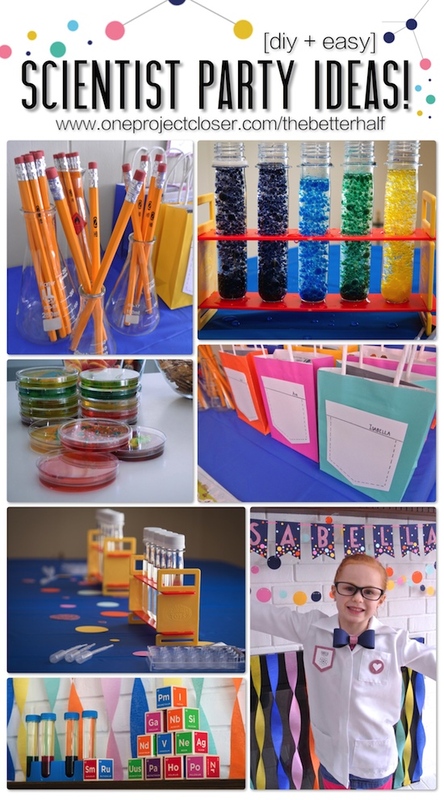 I hadn’t originally planned for this, but about a week before the party, my friend Vanessa at Tried and True shared her son’s Imagicademy Math Party where they built candy structures. What a great idea and they look like molecules. So after consulting my brother-in-law and sister-in-law (both crazy crazy smart real life scientists), we came up with 3 simple molecules for the kids to build using marshmallows and gum drops. 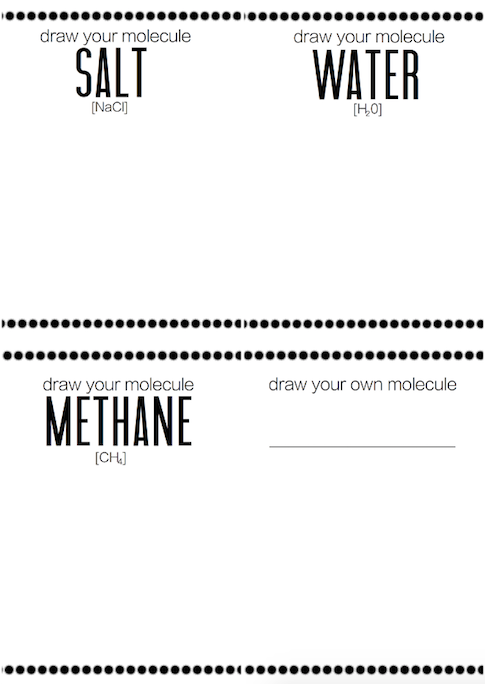 After building the molecule with candy, our scientists were asked to draw a picture of the molecule. After the scientists built their water molecule, we went in the living room to get some wiggles out. This game was the idea of my sister in law, Natalie, and it was a HUGE hit! 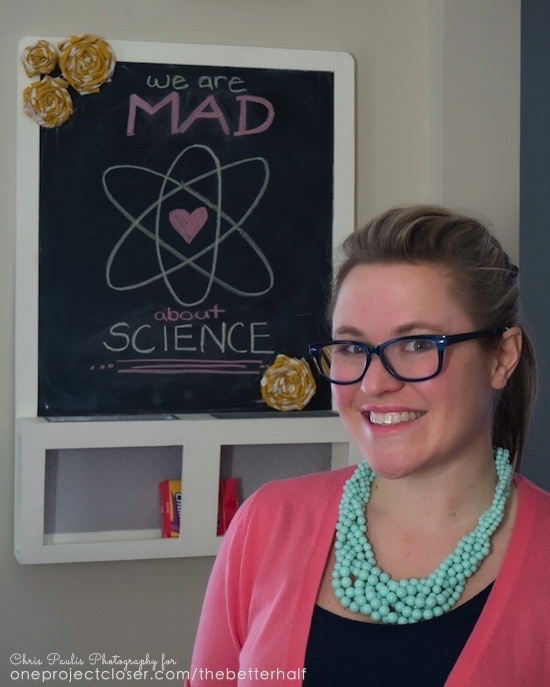 The super basic science as explained by this non-science girl…. I explained the basic science to the kids and then called the stated of water to the kids and they changed the way they moved around the room. It was super fun and I was surprised just how quick they caught on! This is probably a product of their mother, but both my girls believe all parties should involve costumes. So of course, Isabella wanted to be dressed like a scientist. So I made paper bow ties using my Silhouette for all the girls and bought reading glasses from the Dollar Store and popped the lenses out. If you don’t have a Silhouette, my friend, Gwen at The Bold Abode has a great bow printable version that you can cut out! I also turned Izzie’s play doctor coat into a lab coat. It’s always my favorite part – the decorations! I loved the bold colors with a touch of feminine, which I think sums up the idea of a girl scientist party, right? 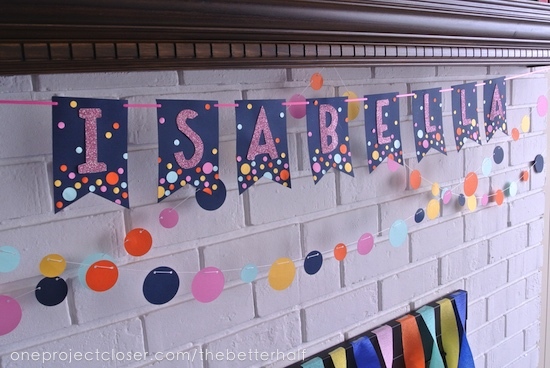 After putting streamers on every possible surface, I made a banner and dot bunting using my Silhouette. The best part – it all cost under $10! 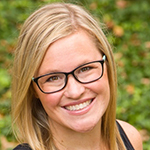 Finally, Happy Happy Birthday to the girl who forever changed my life for the better and made me fall in love with being a mom. I love you, Isabella!!! What do you think? 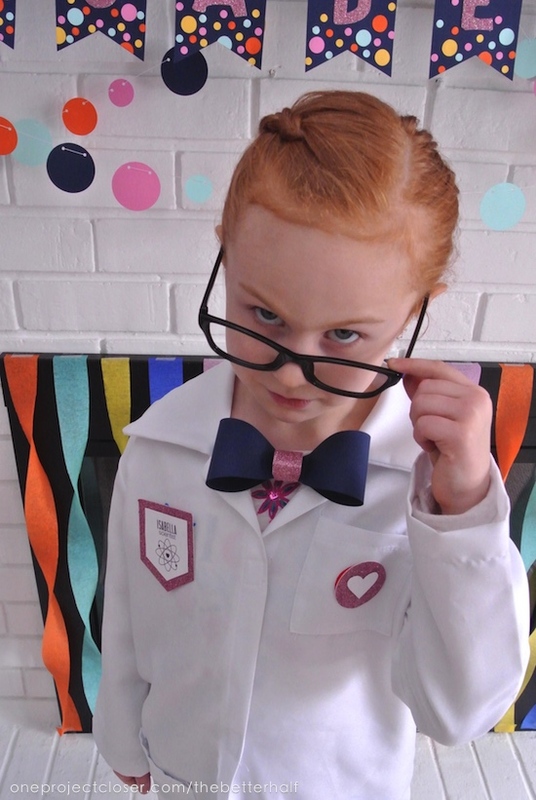 What are your mad scientist party ideas for next time? A very unique idea! I bet no other child had ever been to a party like this! The kit makes it very easy even if you don’t go crazy on decorations. I love to see other people decorate even though it isn’t my thing. Thanks, Mary Sue! We really loved having the kits because they made it so easy!! Ahhh I love everything about this party!!! What a cute educational idea! Love all the details too! The shot of Izzy looking over her glasses is meme-quality stuff! The decor looks great! LOVE these ideas, Jocie! 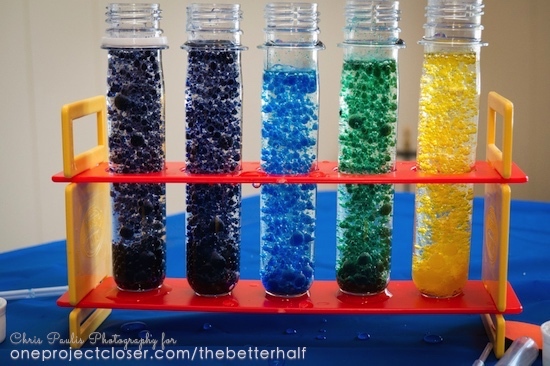 My son will be turning 7 in August and he is so into Science right now; I pinned this post to show him and maybe we will have a science party of our own! This is the best kids party I’ve ever seen! How fun! So fun! Love these party tips! Such a fun party!! Love everything about it!! Thanks Lindsay and thanks for stopping by! Oh my gosh, this looks like the coolest party ever! You are so creative!!!! awww thanks jessi! it really was so much fun! The party looks amazing!! Lily was so sad to have missed it. She wants a science party now for her birthday:). 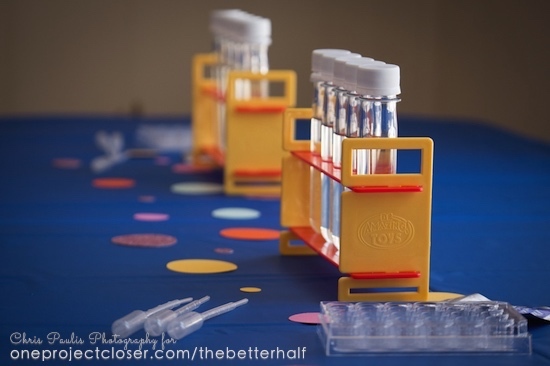 As the wife of a scientist, and the mother of a scientist in the making, I was so excited to hear about these cool Steve Spangler science kits! 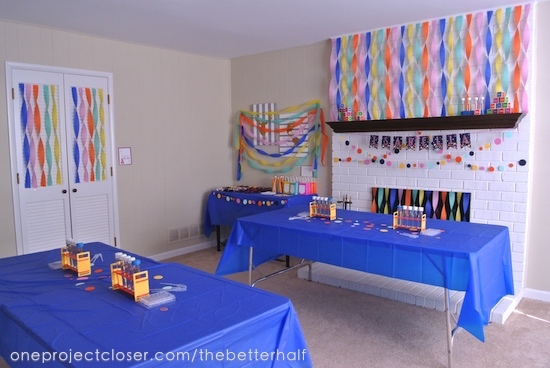 What a great idea for a birthday party, or for any fun get together with kids! I had never heard of these kits before, and I’m excited at the prospect of using them in the future with my son and his friends. Thanks for sharing your great ideas to go along with the kits too! The party looks like so much fun! 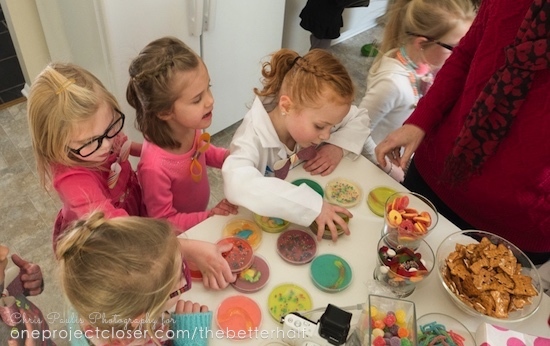 Corinne had a blast and came home immediately wanting to make the jelly marbles! 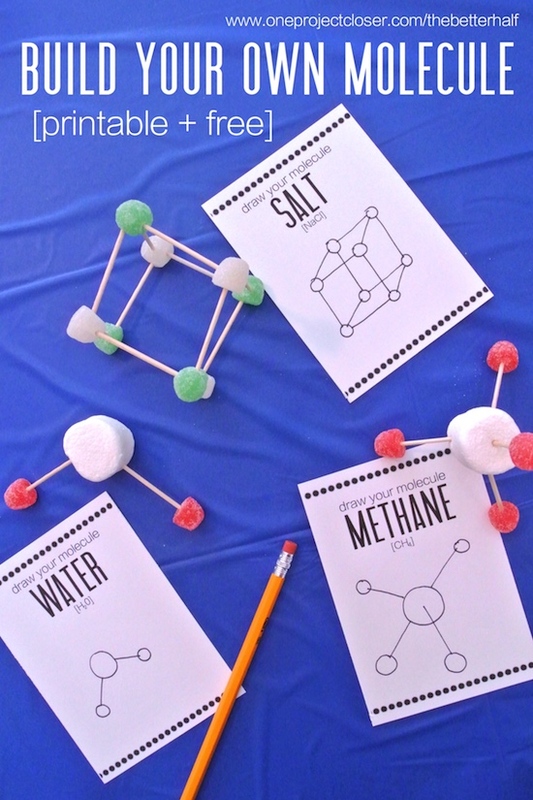 We had fun talking about molecules and how science works…great party idea for our budding scientists! Oh my goodness! so cute and what a different break from a Princess Party! Although a really princess would love science – ha ha. I think the science kit was such a neat idea and looks so cool! It’s also really neat that they have a monthly club! This was such a great party. I homeschool my daughter and I counted this as science class just for going to her friend’s party! I like how the goody bags had an additional science project for the kids to do at home. This party really held all of the kids’ attention and was very fun. Wow…it’s a amazing party and the ideas are so great. My girl is turning 6 this October and will try to adopt this. Thanks a ton for all the tips..
Where did you get those test tubes? Thanks for the great inspiration!!! Best wishes to your daughter. We got the test tubes (which are mini soda bottles, aka plastic) from steve spangler!! Oh my goodness! So glad I found your site! My daughter, who’s turning 7, asked for a mad scientist party this year too. Such a nice change from past years of princesses as well. These ideas are all wonderful. I can’t wait to see her joy with the fun experiments! Thank you for this helpful post! Yay! I’m so glad!! go girl power! Wow!!! Your decorations are stunning! Your little girl looked so happy! Great idea and party! My twin boys are really into science and requested a science party for their 7th birthday. How many kits did you purchase per kid? Thanks for sharing your great ideas! My dd is having her science birthday party soon. 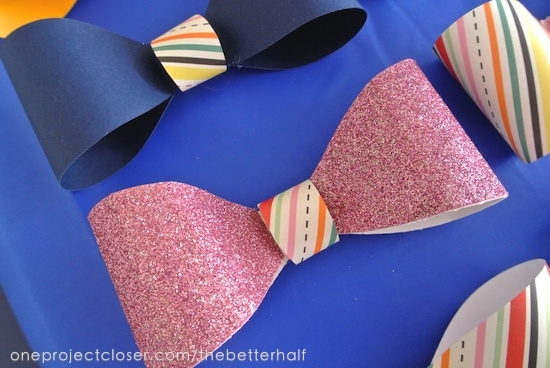 How did you attach the bow ties to the girls’ shirts? I saw somewhere someone used magnets? But I can’t find that site now, but I’m glad I found yours! 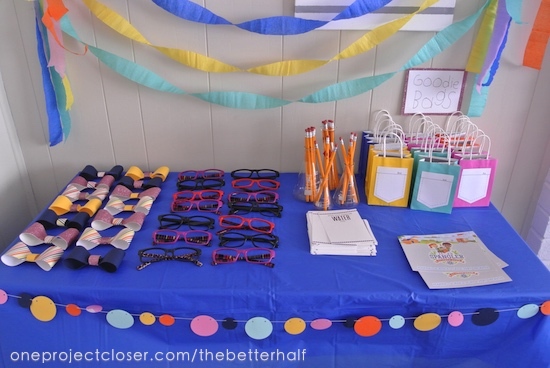 Super cute party idea! Where did you get the fabulous element blocks? In the pictures, they are stacked on a mantle. Thanks for including the link to the science kit subscription.